Look at who lost her first tooth already! She woke up one morning with a hole where her tooth used to sit . . . after searching the bed sheets, we finally found the tiny thing. Phew! I'm glad you found it, I would be scared that she swallowed it! I am so glad you found it. JDaniel's bed is so full of stuff. We would have had trouble finding anything that small. She seems too little to already be losing teeth! When my son had loose teeth, he wouldn't sleep at the end, because he was so worried about swallowing them. 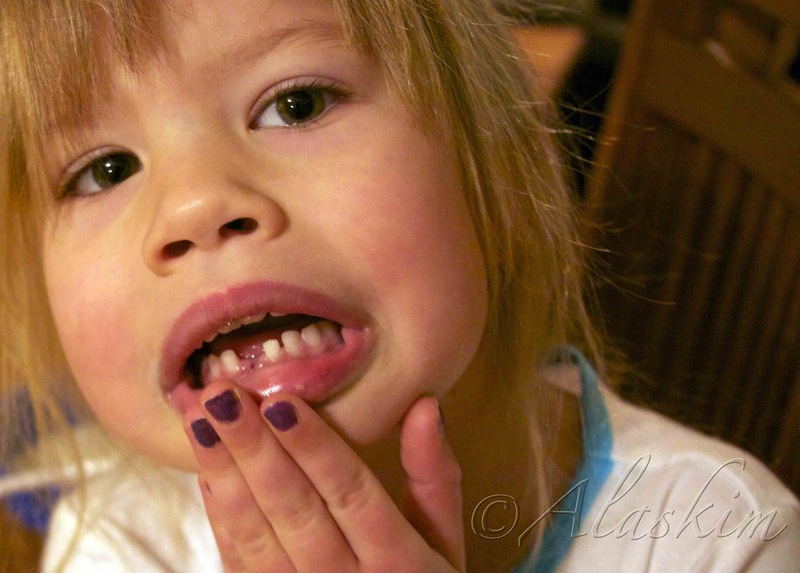 Avery is so ready to loose a tooth, I am worried she's just gonna pull one. When my nephew's first tooth fell out, I thought he was way too young, but I guess not. Is Antarctica Colder than the North Pole?